Coinciding with the show’s premiere in Germany on September 11, 2018, MovieScore Media goes back in time with the sweeping historical miniseries Clash of Futures, exploring the dramatic era of the 1920s and '30s. The eight-part series follows the fates of extraordinary men, women and children from France, Germany, Italy, Great Britain, Austria, Sweden, Poland and the Soviet Union using their own diary entries, letters and memoirs. These are people drawn into the war by their convictions, who with their loves and decisions bring the history of Europe with all its contradictions to life. 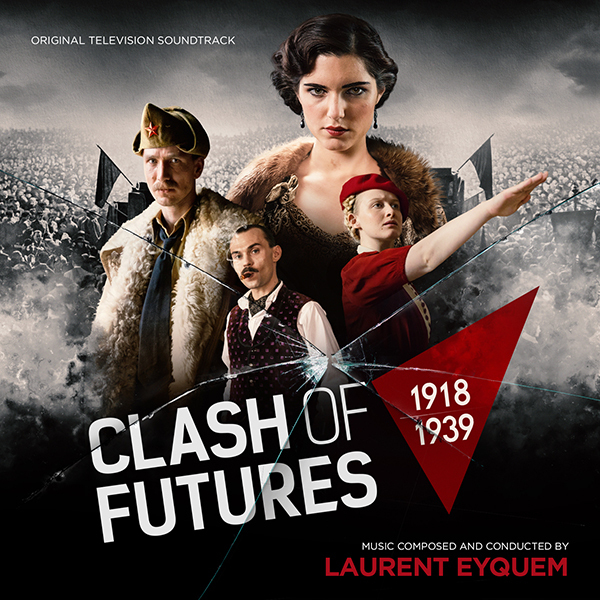 ''For Clash of Futures, the music needed to carry us across 21 years of rich history in Europe, from 1918 to 1939” explains Laurent Eyquem about his score. “To cover and link this dense and fascinating historical period, director Jan Peter and I chose one symbolic instrument to be the common thread: the trumpet. From the haunting sound of the Harmon Cup Trumpet to the solemn voice of the classic trumpet, it's soulful sound takes us on a journey from the emergence of jazz in Europe at the end of World War I, to the ascendance of Nazism and Fascism, through to the military marches in 1939. Throughout, the common thematic thread in this score is the perpetual, vacillating uncertainty of this period in history, reflected in an omnipresent dissonance that floats, discernibly, just below the surface."